Using the same technology as the more expensive Avazzia units, the Med Sport packs a powerful punch against any kind of pain. 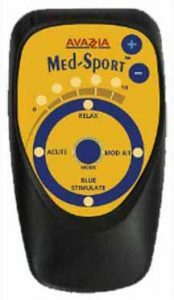 The Med-Sport provides soothing massage therapy designed for physically active bodies to relieve achy, sore or strained muscles and to improve body and muscle efficiency. 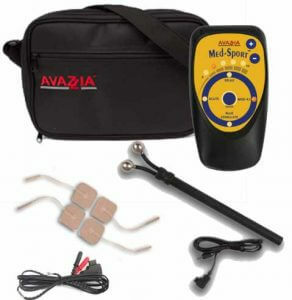 Using the Med-Sport after exercise may shorten recovery time of strained or injured muscles.